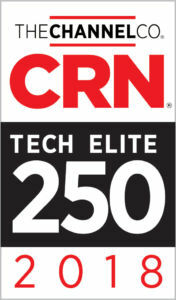 Carrier Access, Inc. a leader in business technology solutions, announced today that CRN, a brand of The Channel Company, has named Carrier Access to its 2018 Tech Elite 250 list. This list honors an exclusive group of North American IT solution providers that have earned the highest number of advanced technical certifications from leading technology suppliers, scaled to their company size. Carrier Access is a premier technology solutions provider serving customers spanning the SMB to Enterprise market. With a suite of products centered around Connectivity, Technology and Lifecycle Management, Carrier Access has the expertise to surpass customer expectations and help organizations achieve tremendous success. The Carrier Access philosophy: “We believe that businesses thrive when they focus on their core competency, ours is technology.” For more information, visit www.carrieraccessinc.com.